He is very involved in Bedford and metropolitan Boston, a participant in interfaith roundtables, chaplain to the Bedford Minutemen, a founding member of the Greater Boston Interfaith Organization, the Tuckerman Coalition, and the Interfaith Alliance. He also participates actively in the life of the Unitarian Universalist Association, is past president of the UU Partner Church Council, former board chair of the Unitarian Universalist Service Committee, and is current chair of UUSC’s Ministerial Leadership Network. First Parish Bedford was recognized as a “breakthrough congregation” in 2012 by the UUA. Annie Gonzalez Milliken is a lifelong UU from the midwest who started at First Parish Bedford in August 2018. She has lived in 7 states and has been involved in 10 UU congregations. 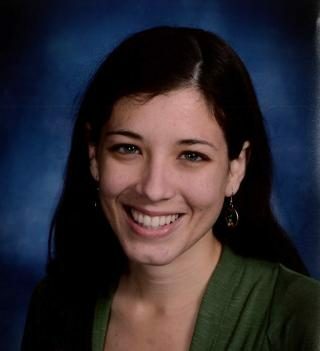 Previously she served as the Young Adult and Campus Ministry Associate at the Unitarian Universalist Association for five years and was affiliated as a community minister with First Parish Dorchester. Annie lives in Jamaica Plain with her partner Lucas, their kiddo Moira and two housemates, Elizabeth and Christi. Lucas serves as the Director of Religious Education at First Parish Dorchester and together their family attends a small group evening worship called NightChurch at Hope Central Church in Jamaica Plain. They also participate in The Sanctuary Boston, a contemporary worship community grounded in Unitarian Universalism. When not working for or participating in spiritual communities you will probably find Annie at an organizing meeting for immigration justice, jogging in her neighborhood, or spending time with her family, housemates and friends. She is a member of Showing Up for Racial Justice (SURJ) Boston and the Boston Immigration Justice Accompaniment Network (BIJAN / “Beyond”) where she tries to mobilize other white folks and learns about what it looks like to fight for collective liberation. From the refugee camps of Darfur, Sudan, to the poorest villages in India; from the prison cells of Monrovia, Liberia, to the business suites of Hong Kong to Louisiana’s death row, Dr. William F. Schulz has traveled the globe in pursuit of a world free from human rights violations. 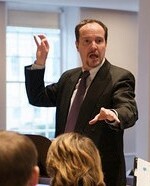 Currently, Dr. Schulz serves as Adjunct Professor of Public Administration at New York University’s Wagner School of Public Service; as an Affiliated Professor of Preaching and Public Ethics at Meadville Lombard Theological School at the University of Chicago; and as Affiliate Community Minister with the First Parish in Bedford, MA. 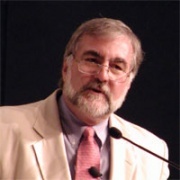 As Executive Director of Amnesty International USA from 1994-2006, Dr. Schulz headed the American section of the world’s oldest and largest international human rights organization. From 2006-2010 he was a Senior Fellow at the Center for American Progress specializing in human rights and has served as a consultant to a variety of foundations, including the MacArthur Foundation, UN Foundation, Humanity United and the Kellogg Foundation. Dr. Schulz was also the President and CEO of the Unitarian Universalist Service Committee. He was designated President Emeritus of the UUSC in spring of 2016 after six years as UUSC’s President. An ordained Unitarian Universalist minister, Dr. Schulz was President of the Unitarian Universalist Association of Congregations from 1985-93. He has served on the boards of People for the American Way, Planned Parenthood Federation of America and many other organizations, is currently chair of the Board of United to End Genocide and is a member of the Council on Foreign Relations. 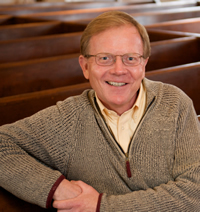 Dr. Schulz is a Phi Beta Kappa graduate of Oberlin College, holds a master’s degree in philosophy from the University of Chicago and the Doctor of Ministry degree from Meadville/Lombard Theological School (at the University of Chicago) as well as eight honorary degrees. He lives with his wife, the Rev. 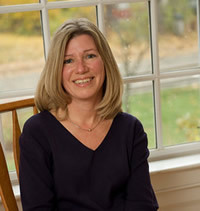 Beth Graham, also a Unitarian Universalist minister, in Gloucester, MA. Deb Weiner is a lifelong Unitarian Universalist and a certified interim religious educator who is focused on helping congregations in transition infuse health and vitality into their religious education programs and their congregational systems. Deb is a candidate for the UUA’s Religious Education Credentialing Program and co-teaches the UUA’s Professional Interim Religious Leader training program. She is the co-author of a book project, funded by the Liberal Religious Educators Association 21st-Century Fund and the UU Sunday School Society, called In Liminal Time: Transitional Religious Leadership in Progressive Faith Communities; the first part of this project has been published on the web through the Guild of Interim Religious Educators (GIRE). 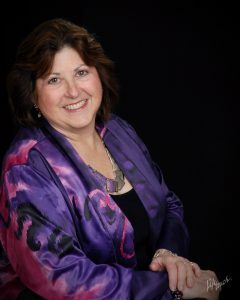 She is a founder of GIRE, serves on the Board of the New England Region of LREDA (the Liberal Religious Educators Association) and (on the musical side) is the Moderator of the Association for Unitarian Universalist Music Ministries (AUUMM). Deb is a longtime Lexington resident along with her husband, Ben Soule, a licensed contractor and woodworker. They have two young adult children and, when not in UU congregations, can frequently be found singing or performing on stage somewhere in the greater Boston area. Bradford Conner has been Music Director at First Parish since the Fall of 2005 and came to us with 23 years’ experience in directing a church choir in southeastern Massachusetts. Over the years, with his prior church, he expanded the choir and broadened its repertoire. He conducted many special musical programs and initiated and produced several successful choral festivals. Earlier in his career Brad held positions as pianist, vocalist, and choir director at a variety of church congregations, including Greek Orthodox, Jewish, and Unitarian. His academic background includes degrees in musicology/performance (choral and instrumental conducting) as well as undergraduate degrees in German and in business administration. From 1986 to 1991 he was general manager of the Pro Arte Chamber Orchestra in Boson. Brad’s current day position is as an administrative assistant at Harvard Law School. So much for the formalities. Brad also has an active performing life outside First Parish! He is a Producing Director of American Classics, a non-profit dedicated to American music, as well as partnering regularly as a pianist/vocalist with baritone Ben Sears. The “Ben and Brad” duo specializes in researching the songs and music of composers from the Great American Songbook such as Irving Berlin, Richard Rogers, and Jerome Kern, among others, and creating performances honoring special occasions based on the lives of those songwriters. Sears and Conner perform regularly in the Boston area and have been featured on WGBH, WBUR, WHRB and WERS radio. Robert grew up in England and was raised in the Church of England, singing in a church choir, absorbing the rich Anglican choral tradition and taking early organ lessons while in high school. But it was not until he moved to the Boston area and began attending an Episcopal church that he started to think seriously about becoming a church musician. He now holds the American Guild of Organists Service Playing Certificate, and studies with Heinrich Christensen at King’s Chapel in Boston. He was a member for many years of New England Classical Singers and of Masterworks Chorale, serving at various times as treasurer for both groups. His previous position was as Music Minister at St John’s Episcopal in Arlington, and he has substituted at numerous churches in the Boston area. He is now excited to be a regular part of the vibrant and diverse musical life at First Parish. Robert holds a bachelor’s degree in Mathematics from Leeds University and has pursued a career in Information Technology, presently working in systems design and development for Wells Fargo bank. In what’s left of his spare time he enjoys cooking, gardening, hiking, travel, and solving British cryptic crosswords, the tougher the better. Joan began her tenure at First Parish in Bedford in the Fall of 1995 as the Administrative Assistant when Lindy Anderson was First Parish’s Administrator. She has been Parish Administrator since Lindy’s retirement in 2001.